This one requires: piecing a back, quilting and binding. 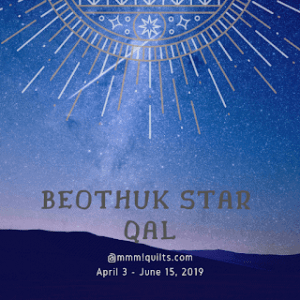 This one is a new project, begun in May, a QAL with Sandra at mmmquilts! The good news it is nearly done, a back needs to be pieced, the binding fabric was delivered and the quilt will be done. Should be easy. 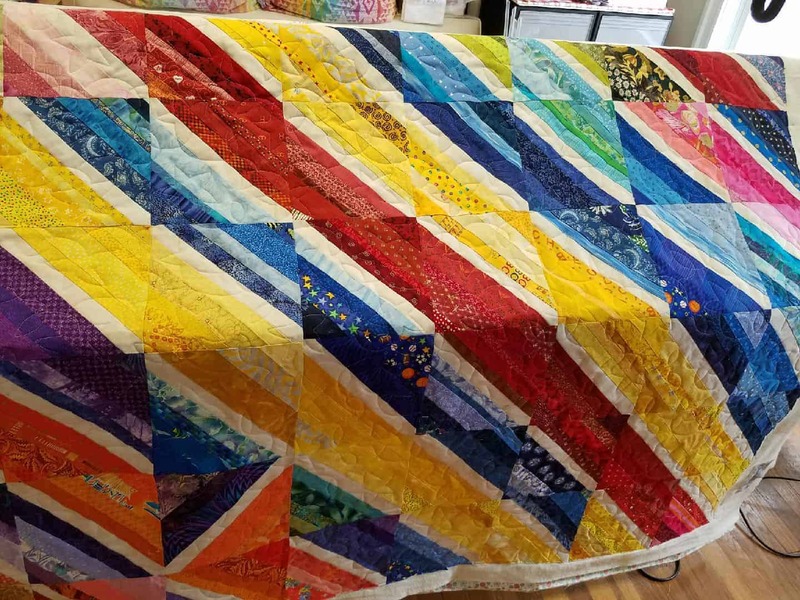 String Quilt: The next one was begun 2 years ago at a quilting retreat. 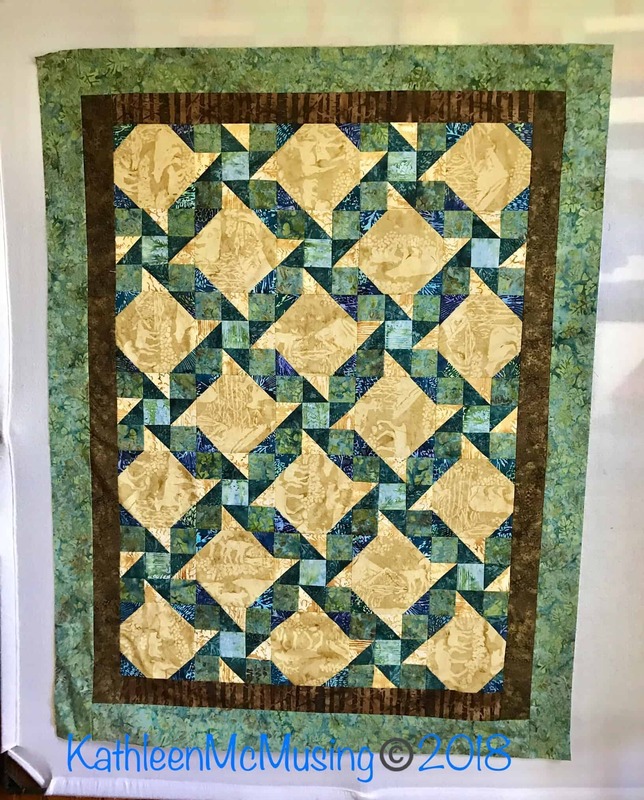 My friend quilted it for me – thank you Chris! Now I just have to bind it. 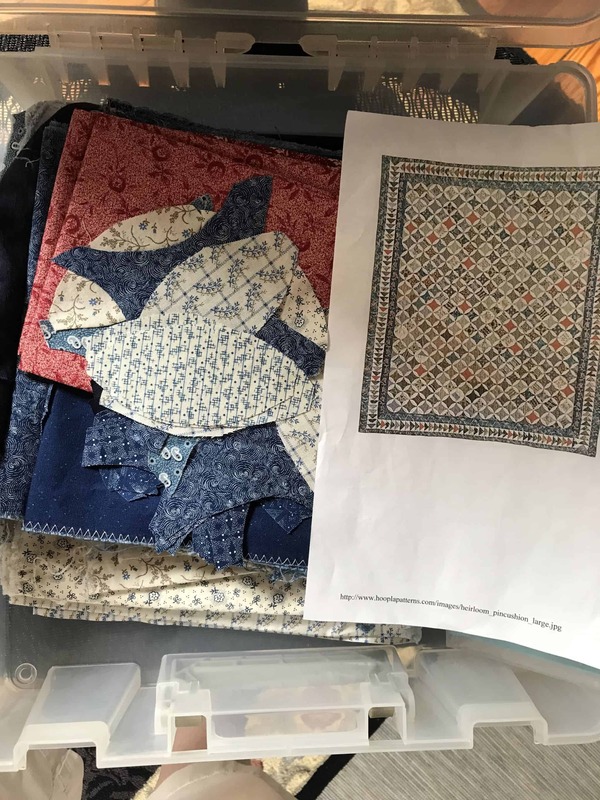 Indigo Quilt: It’s a good thing I have 3 months for this…..It has been languishing in Maine, and now that we will be here for the bulk of the next two months, it is time to give it some attention. 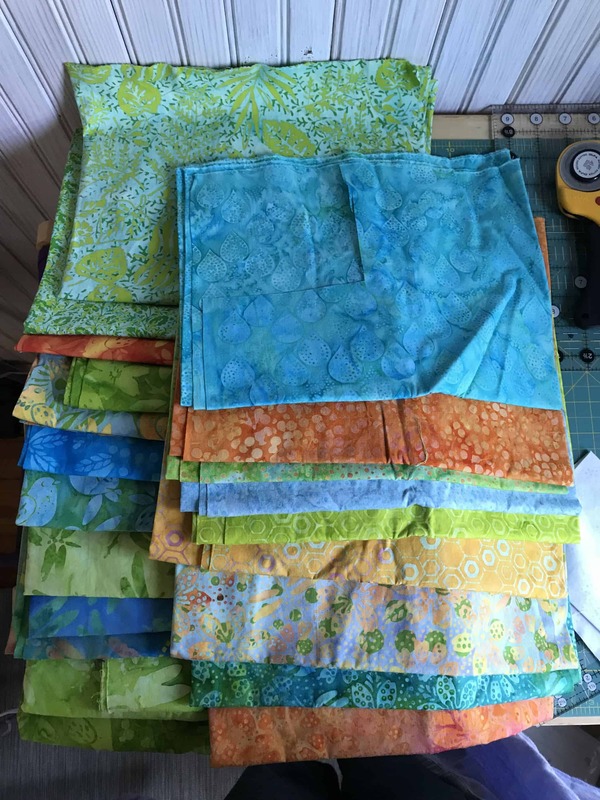 I may have hand-pieced a few, but I am thinking about machine piecing….we will see. I pulled it out and started again – boy it has been a long time coming. 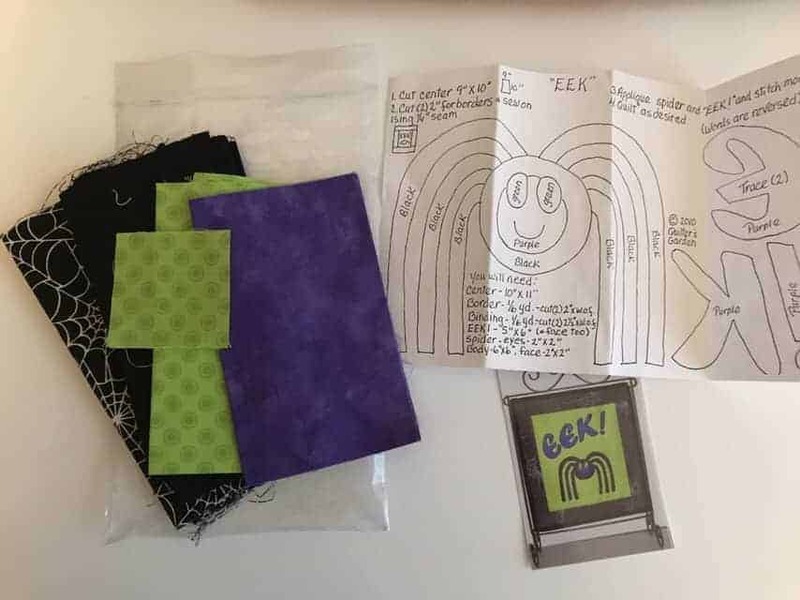 Halloween Mini: I won this little kit on a blog hop last year, but it is time to get some halloween projects done. Its small and won’t be a problem to do, at least I think not. 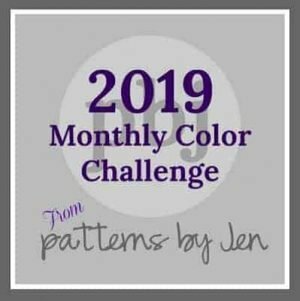 July – Secondary Patterns. This is my July project (fabrics provided by Island Batik) – top done – backing, quilting and binding remain. August, The Great Outdoors is a well formed concept. Some preliminary cutting is done, but it has a ways to go! I have a design and the fabric – Island Batik (fabric provided by them) gives generous amounts for their ambassadors. This is a new line this fall called Sweet Tweets – birds, dragonflies, flowers and fauna are all featured. . My blog hop day is September 3; but I can’t wait to get working on this one. September Starstruck: There is one more project for the next quarter that I would like to get done. Again, it is an Island Batik project, for September. Here’s a proposed design, now to see if I have fabric for it. 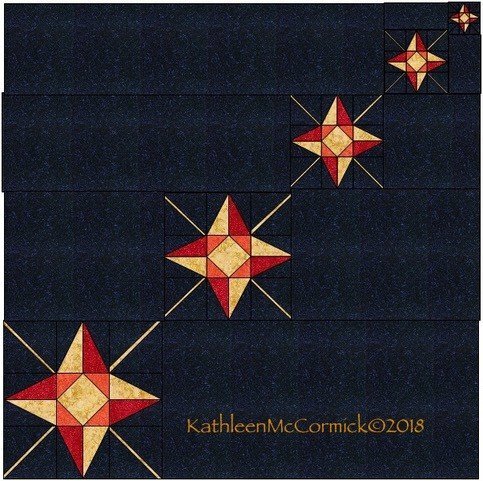 I designed the block last year and want to make it into a quilt! We will see if there is enough fabric in the new box – other fabrics won’t work so, it is just a starry concept! This is only in its drawn stages, and very early so we will have to see if it holds up. Next Post July Island Batik Ambassador Box! 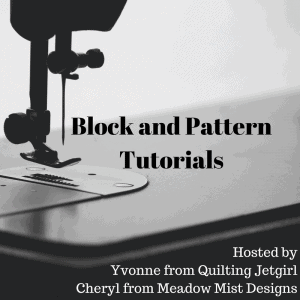 Wow….what wonderful projects, Love all of the fabrics for sure. Thanks, Barbara! Only one I think is a risk k- that hand piecing one is unlikely to get finished but I started back at it already, so that is a good thing! I hope I can make the fabric work….It might wind up being a shorter version (due to fabric constraints) but I am really hoping to do it. 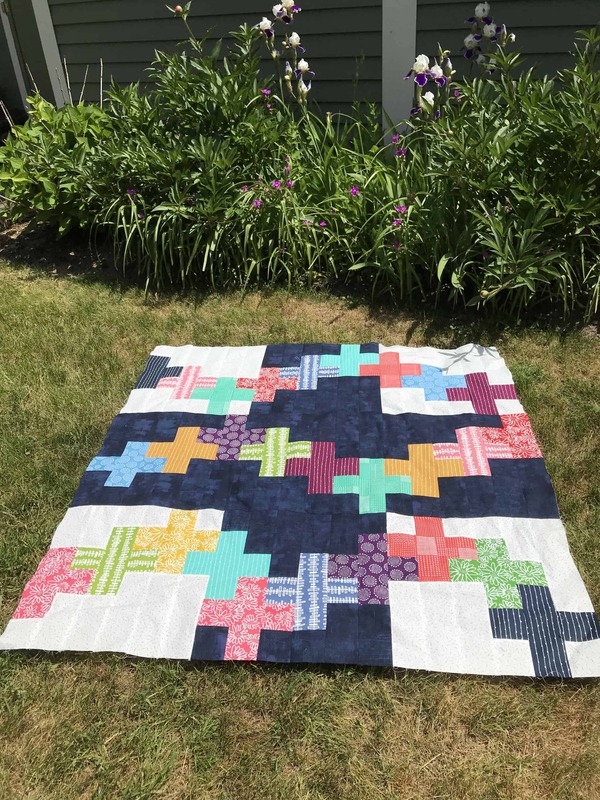 I love your playtime plus quilt, Kathleen! I’m looking forward to seeing how you finish it off. And the indigo! Lovin’ that, too! Best wishes for this next quarter! I love the playtime quilt, too. It was easy and fun and used up some fabric I had been hoarding, so I am glad. Not sure its destination, but I will figure it out. Hoping to use a new long-armer (to me) when I get back to Maine to put it together. A little big for my machine there, I could do it in Boston, but that would put it off another month…decisions. Great projects to finish Kathleen. 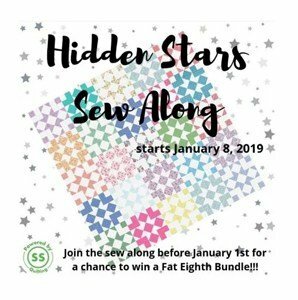 I’m looking forward to seeing your Playtime Plus quilt done – it looks great already and I love the fabrics! Thank you so much. I really loved the way this one turned out – I wasn’t so sure in the beginning. I believe I will send it to be quilted as it is a little large for my Janome in Maine (where it is right now). 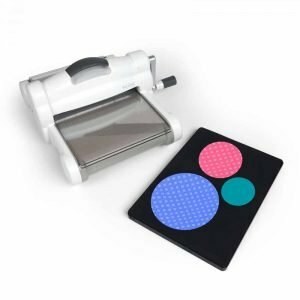 I love your secondary design project. It is beautiful. I hope you get to make your star design, it is fabulous. My box didn’t come with any of those colours so I hope they were all sent to you instead! Thanks, Dione. 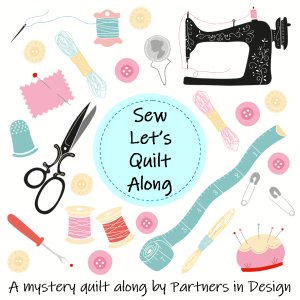 I will make it one way or another….after I unpace/video/quilt and blog today, I can check out the contents more closely with this in mine. I don’t know that I have the right dark yardage, but I could buy some couldn’t I?